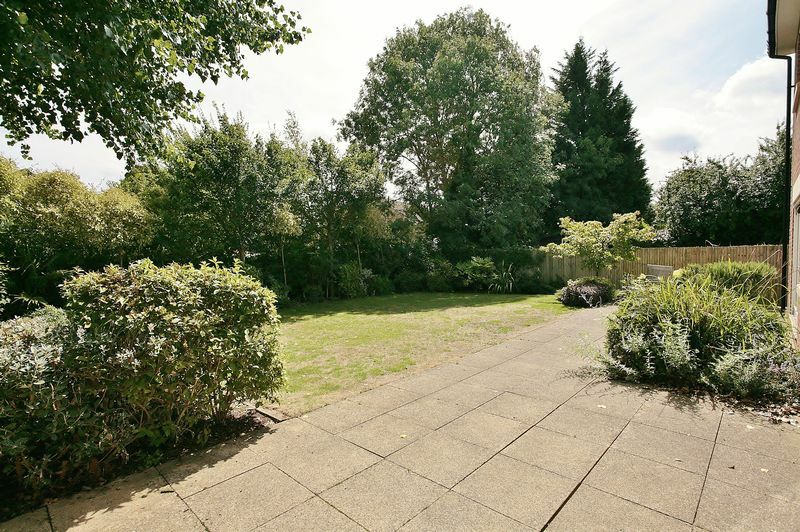 There is a maintenance charge of around £400.00 per year for the upkeep of the unadopted road. 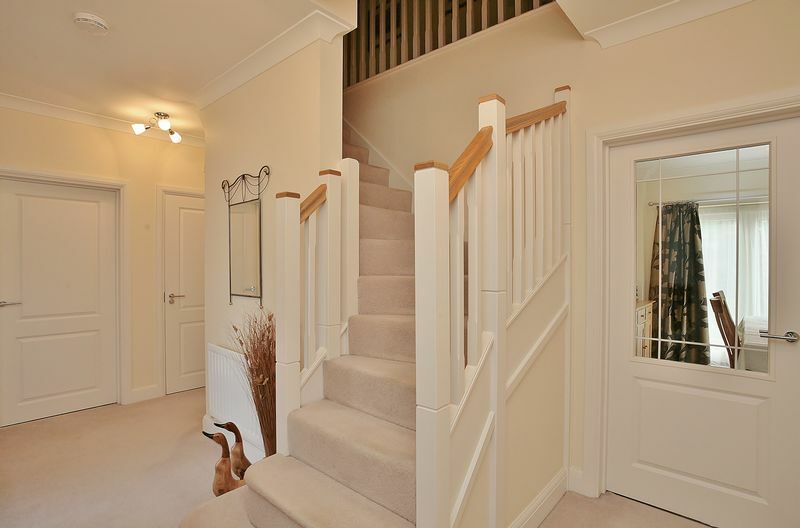 A spacious hallway with stairs rising to the first floor, a useful understairs cupboard, doors leading to all ground floor accommodation. 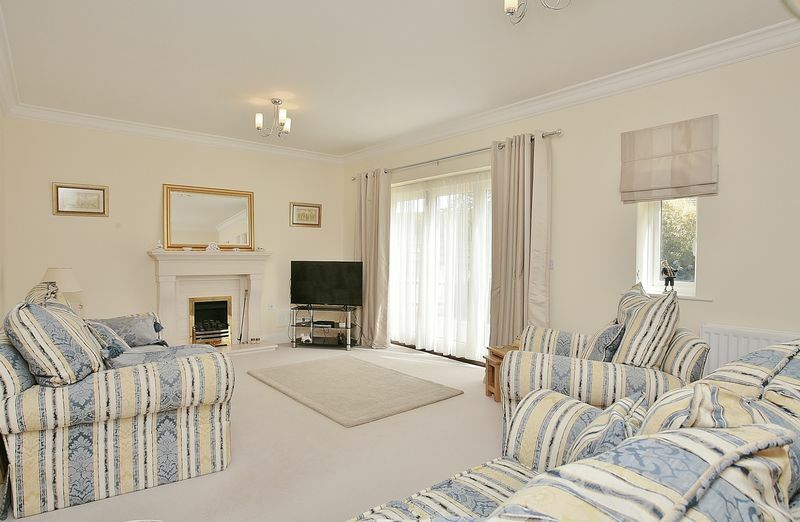 A nice sized sitting room with inset coal effect gas fire with sand stone surround, Bi-Fold doors leading into the rear garden and two further windows overlooking the same aspect, a light and airy room with plenty of space for furniture. 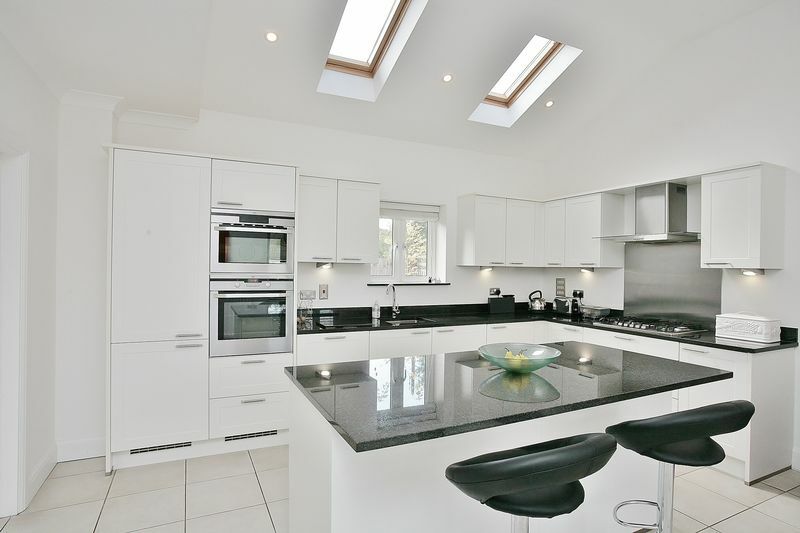 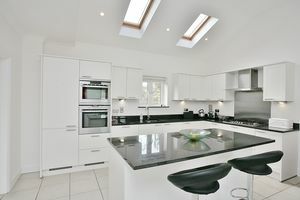 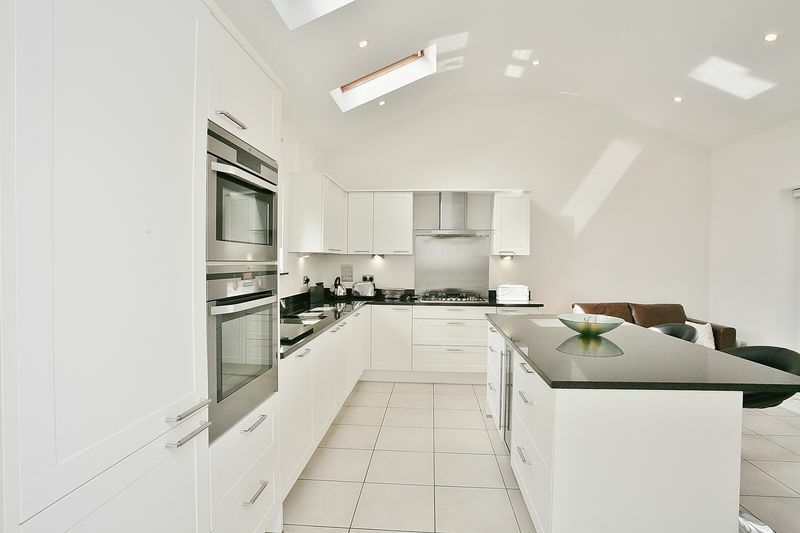 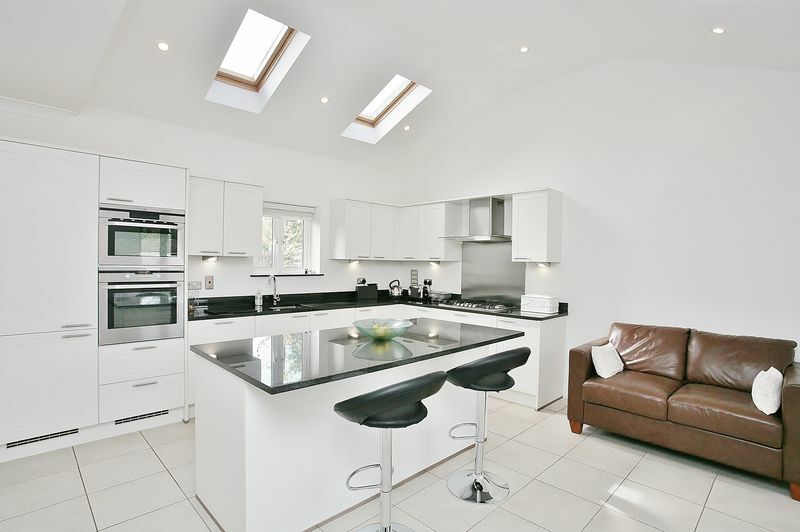 Beautifully proportioned kitchen with vaulted ceiling creating a feeling of space and light due to the full length window overlooking the front garden. 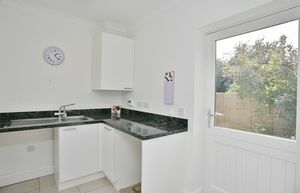 A good quality kitchen fitted with a range of eye and base level units with granite work tops over and a central island housing more cupboards and a wine cooler. Stainless sink with drainer cut into the granite, integrated fridge freezer, dish washer, AEG fan oven with Microvat combi microwave above, five ring AEG gas hob with extractor above, electric underfloor heating, tiled flooring throughout and window overlooking the side aspect. 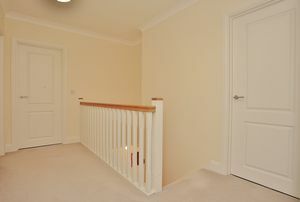 Door leading into the utility room. 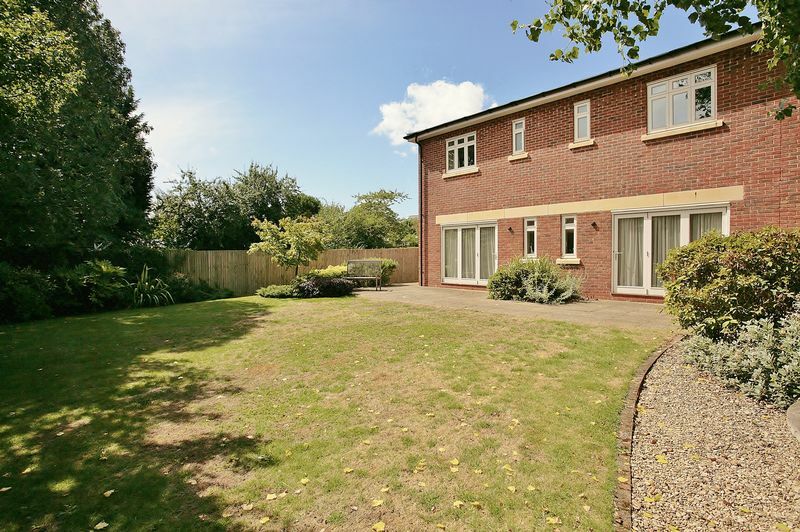 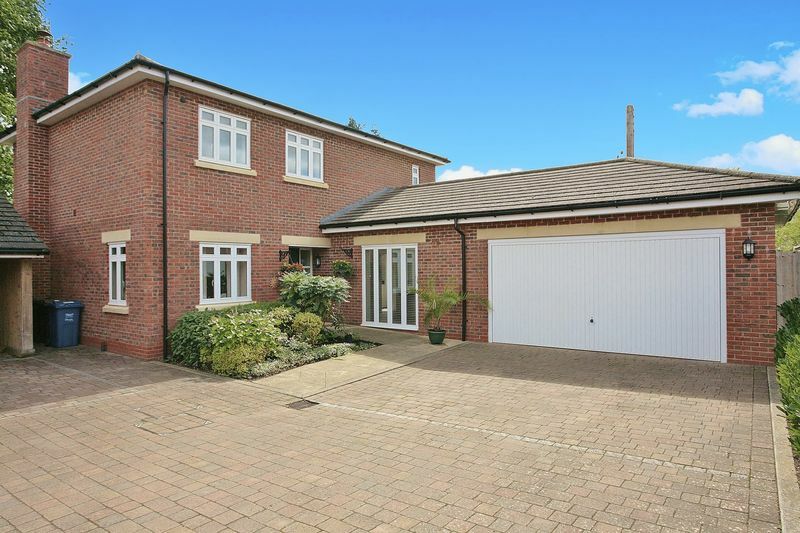 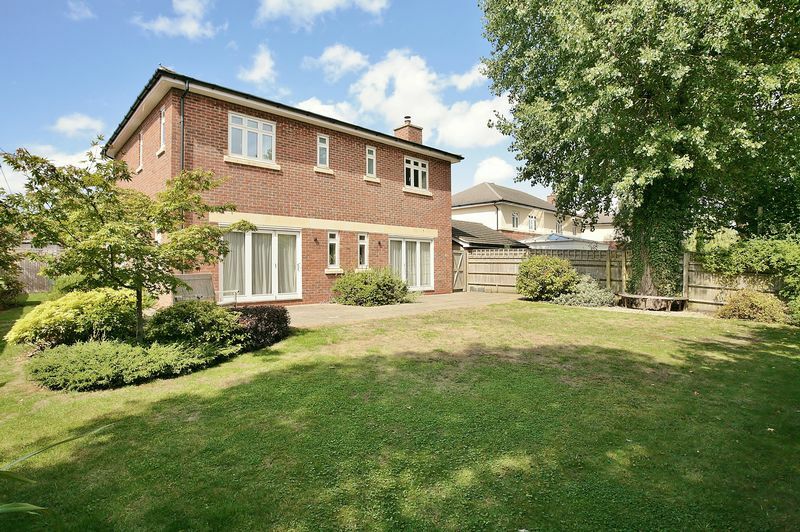 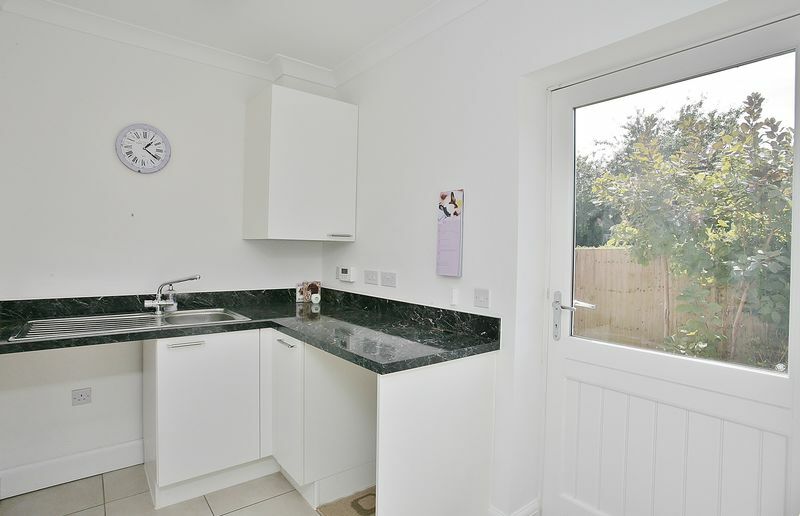 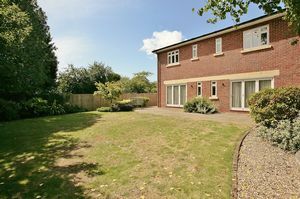 Fitted with a small amount of eye and base level units, a stainless sink and drainer, plumbing for a washing machine, tiled flooring throughout and door leading into the garden. 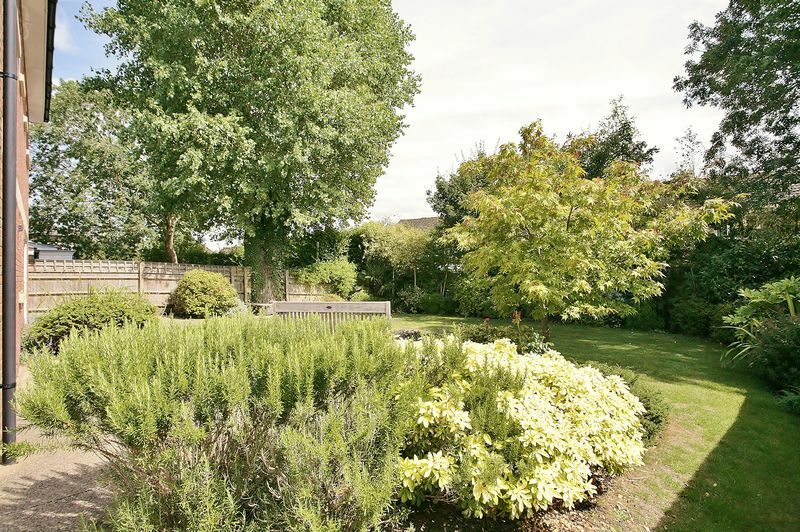 The Potterton combination boiler is located here. 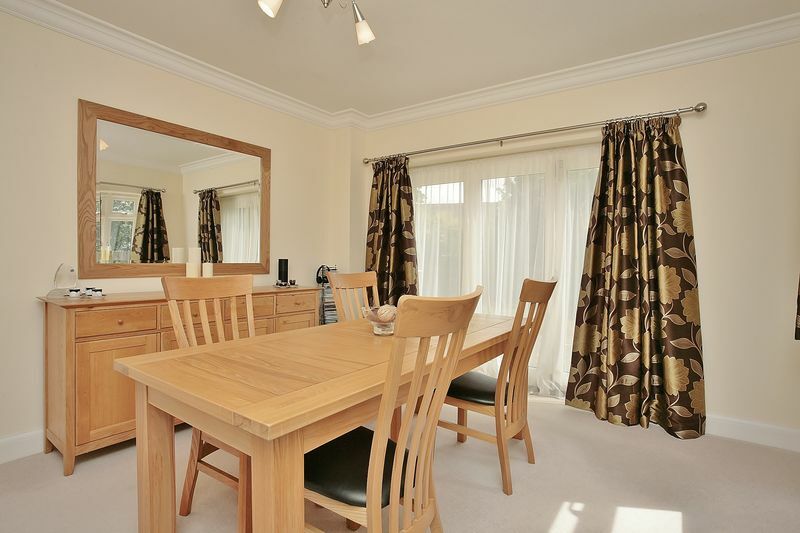 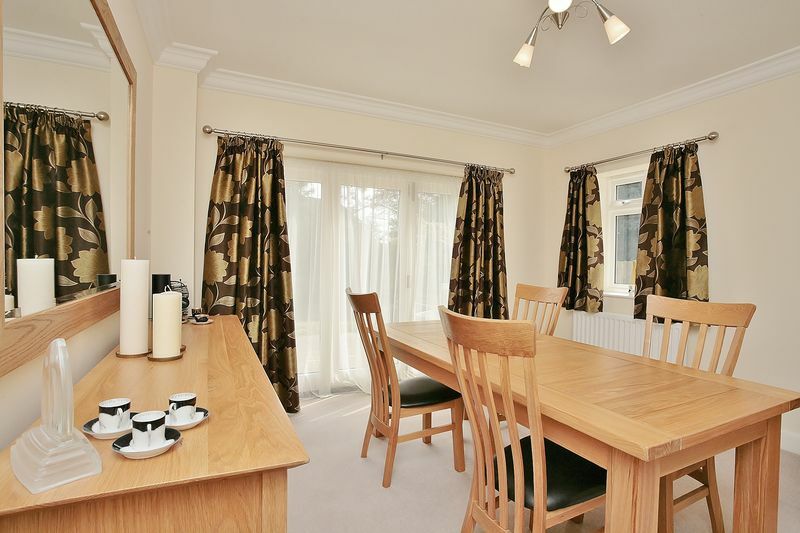 Nice sized dining room with Bi-Fold doors leading into the rear garden and also window to the side aspect, again a light and airy room with plenty of room for a table and chairs and also other furniture. 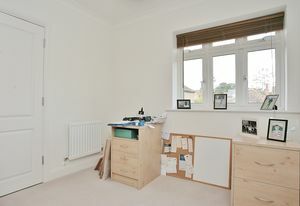 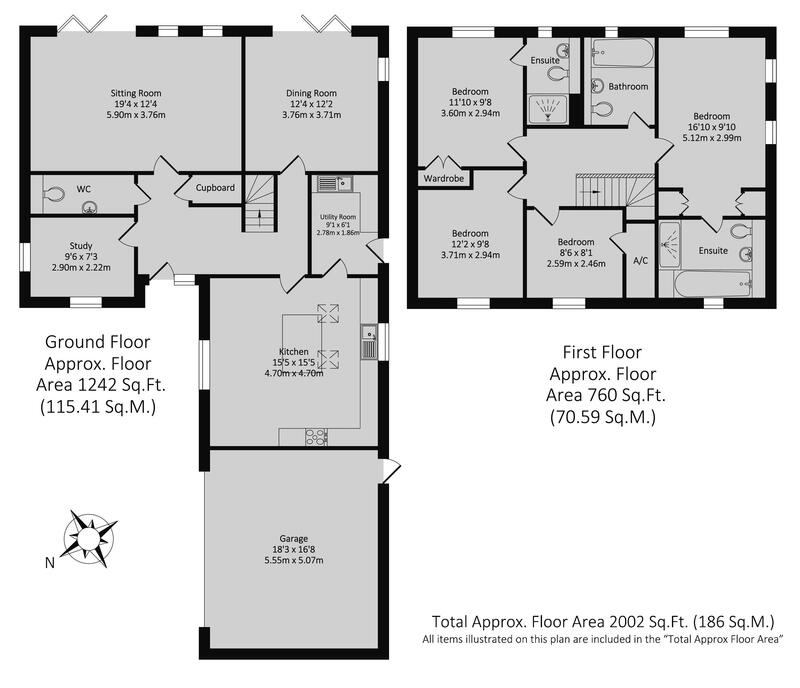 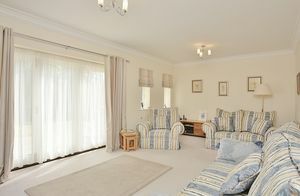 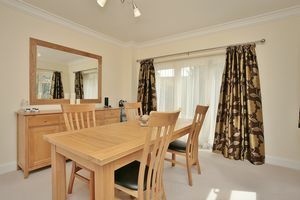 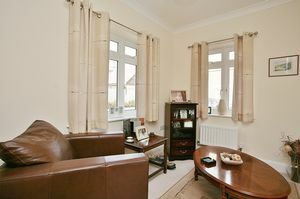 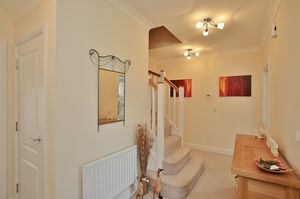 A useful room that could be used as a study or play room with dual aspect windows overlooking the front of the property. 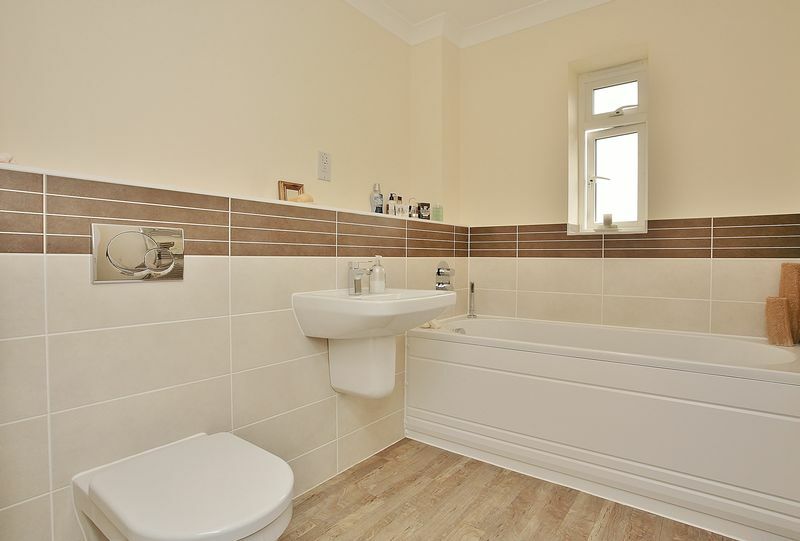 A large cloakroom fitted with a W.C. and a wash hand basin, attractive tiling to walls and floor. 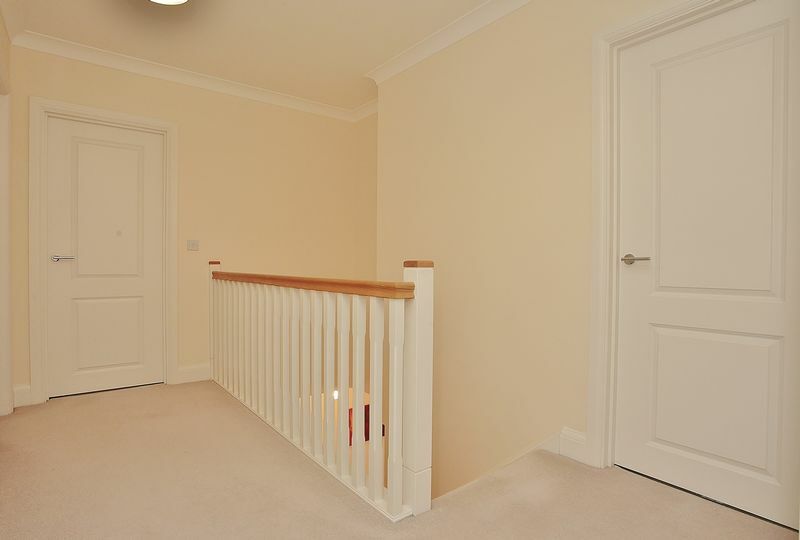 Spacious landing area with loft hatch providing access to the roof space which is boarded and has lighting. 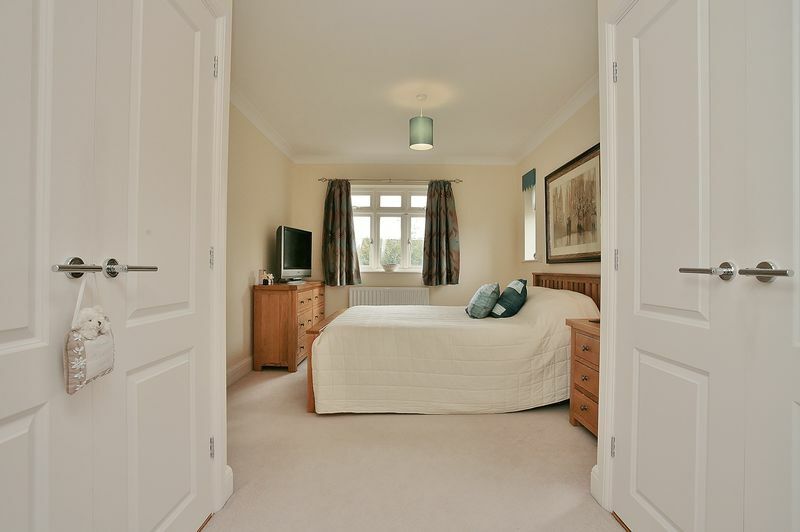 Doors to all first floor accommodation. Large double room with window overlooking the rear garden and two further windows overlooking the side aspect, two large fitted wardrobes and door leading into the en-suite. 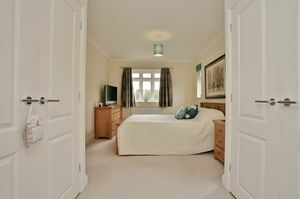 The en-suite is fitted with a modern white suite comprising panelled bath, toilet and wash basin. 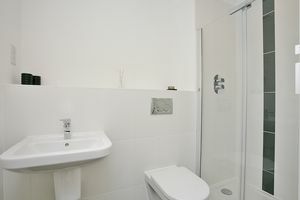 There is also a separate double shower cubicle with glass front and mixer shower. 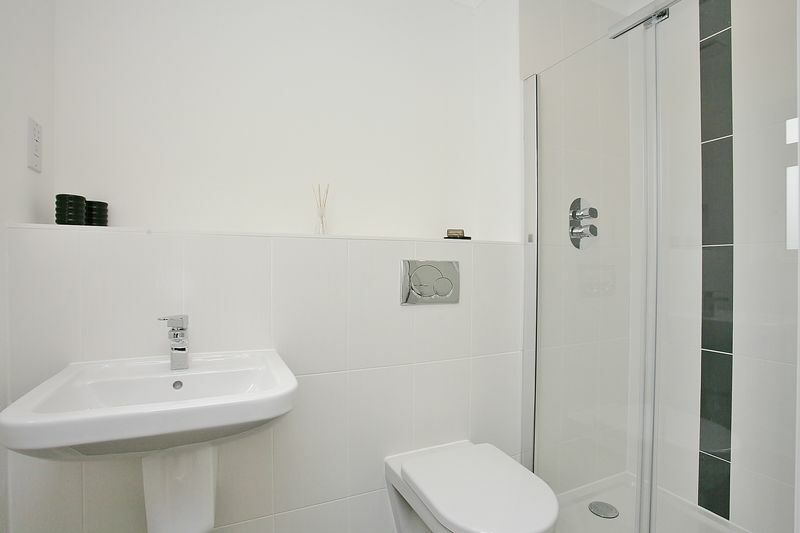 There is an inbuilt vanity unit with glass front, a heated towel rail and Amtico tiling throughout and window to the side aspect. 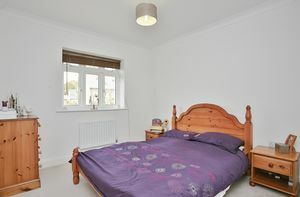 A good sized double room with window overlooking the rear garden, fitted double wardrobe and en-suite fitted with a white suite comprising double shower cubicle with mixer shower, toilet and wash basin, heated towel rail and window overlooking the rear garden. 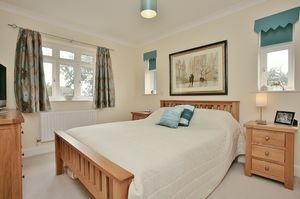 A double room with window overlooking the front aspect. 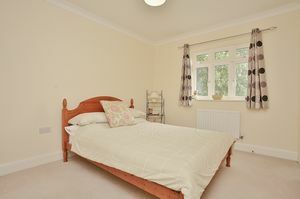 A good sized single room with window overlooking the front aspect and cupboard. 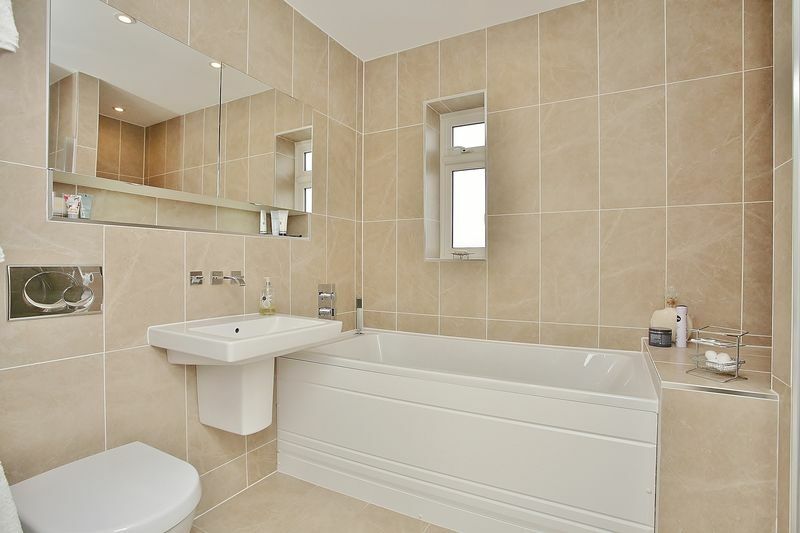 Nice sized bathroom fitted with a modern white suite comprising panelled bath, wash basin and toilet. 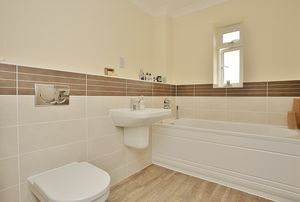 Heated towel rail, window overlooking the rear aspect and attractive Amtico tiling. Outside to the rear there is a nice sized patio area which leads onto a lawned garden with established planting to the borders, there is gated access to the side and a lawned area running along the other side of the property which leads to a fenced storage area with shed and rear access into the garage. To the front of the property there is a paved driveway providing parking for two cars and a slabbed pathway leading to the front door with attractive, well stocked planting area as you approach. 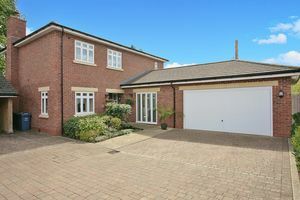 There is a double garage with electric up-and-over door. 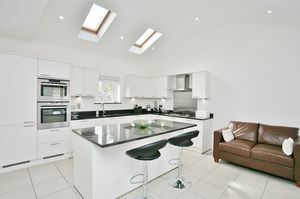 The garage has power and lighting and also has plumbing for a washing machine and storage options within the roof space.